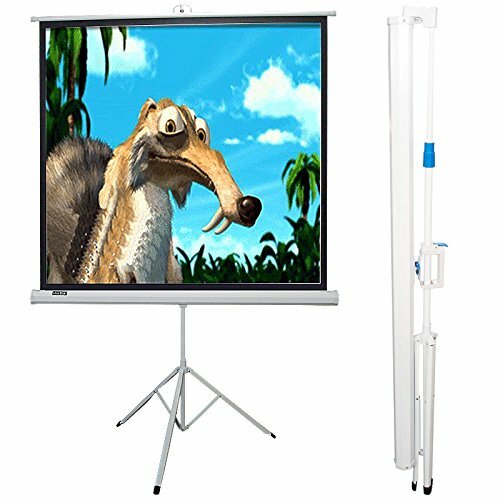 Maxstar Tripod Portable pull up front projection screen is ideal for indoor and outdoor presentations. Its rugged traditional construction will withstand the rigors of daily usage while its adjustable locking ring provides ease in it adjustable height settings. It carries a standard keystone eliminator. The Max White 1.1 Gain screen material is durable and easy to clean. 85" Inch Diagonal in 1:1 Aspect Ratio. Lightweight yet durable constructed.Slat saddle keep viewing surface flat. Design specifical for audiovisual use, specified for schools worldwide. Easy to clean with water solution and Static resistant, dew resistant, Fireproofing. If you have any questions about this product by MaxstarScreen, contact us by completing and submitting the form below. If you are looking for a specif part number, please include it with your message.